It’s been crazy town for in the schools this month! And just as busy this month in my speech room! I have been meaning to do a catch-up blog and tell you about some of my favorite Social Thinking Activities. So this week I am posting a few ideas! 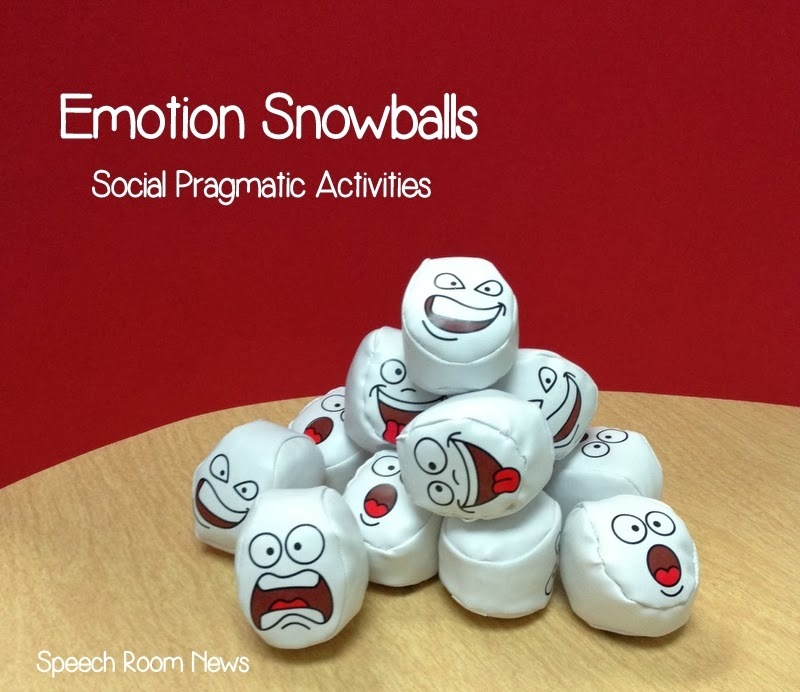 First up: We’ve had a blast with these snowball bean bags! They have 4 different emotions on them. They have two different emotions on each bag which works great for therapy! We’ve been making up scenarios and picking which emotion would be most appropriate. Then of course we needed to have a snowball fight! 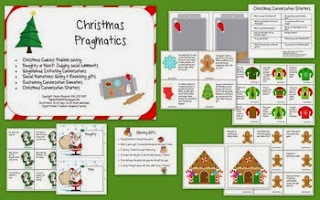 They were a huge compliment to my Christmas Pragmatics Packet! You can purchase the bean bags here. If you try it, make sure and share a photo! I love those snow ball and can’t wait to order some. I have three autistic kiddos and one adopted RAD kiddo. None of them can read facial expressions. Thanks so much! You can check us out at http://everystarisdifferent.blogspot.com.